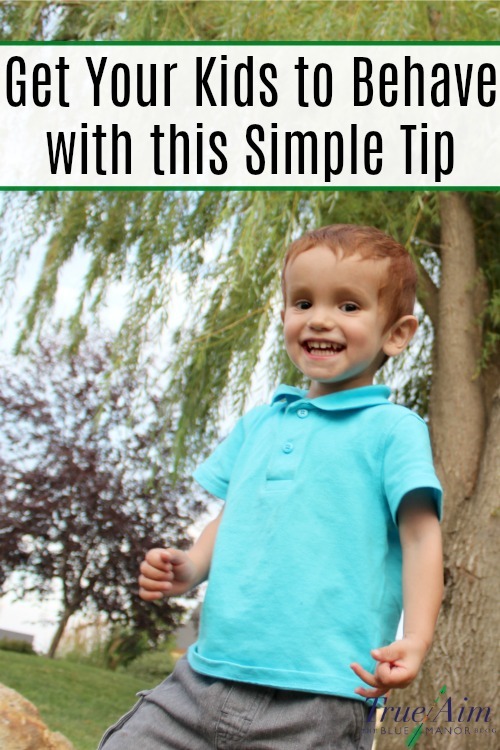 Get your kids to behave with this simple tip! 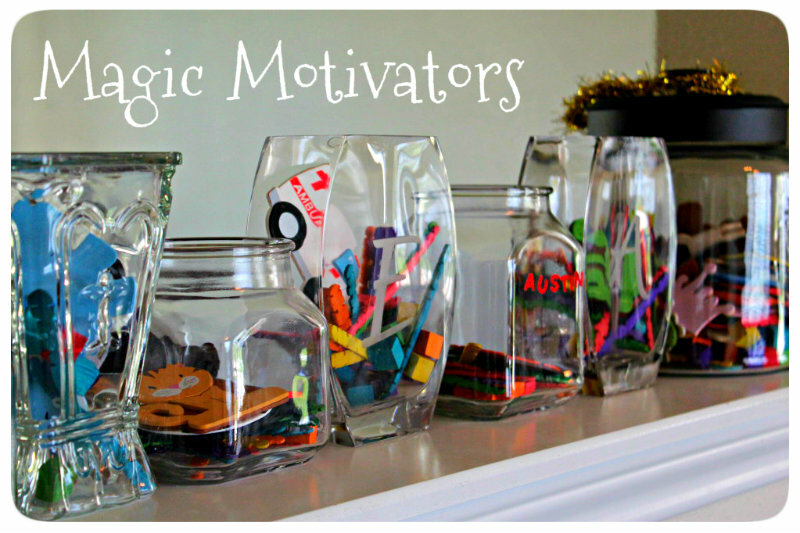 I swear by this “magic motivator!” I took some jars and wrote my children’s names on them. Every time my children are good mannered, respectful, or obedient, I reward them with a Popsicle stick in their jar. Whenever they are rude, defiant, or disobedient, I remove a stick from their jars. Once my children have earned a certain number of Popsicle sticks they get a small reward. We have a “treasure chest” loaded with small inexpensive toys and prizes. Our children are allowed to look inside the chest anytime they want. This keeps their eyes on the prize – focused and motivated. I believe that there are two reasons that this method is so effective with my kids. The first reason is obvious – my kids are excited and motivated to win the prizes. However, the second reason is slightly less obvious. The Popsicle sticks help my children visualize their behavior. A full jar is a pretty good indicator that their behavior is great and an empty jar shows them that they are missing the mark. This helps my children self-correct. Now, I will offer this one word of warning: Do not use the Popsicle stick reward system as a replacement to more traditional methods of discipline. I use them as a positive supplement. I have noticed a drastic decrease in bad behavior since I started implementing my Popsicle stick jars. I hope this tip helps! There are hundreds of variations to this system. 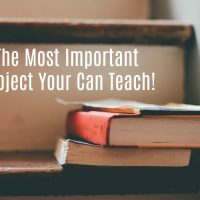 If you use a different “magic motivator,” please leave a comment sharing your technique. I am always looking for new “effective” ideas. Click here for more ideas on motivating children. 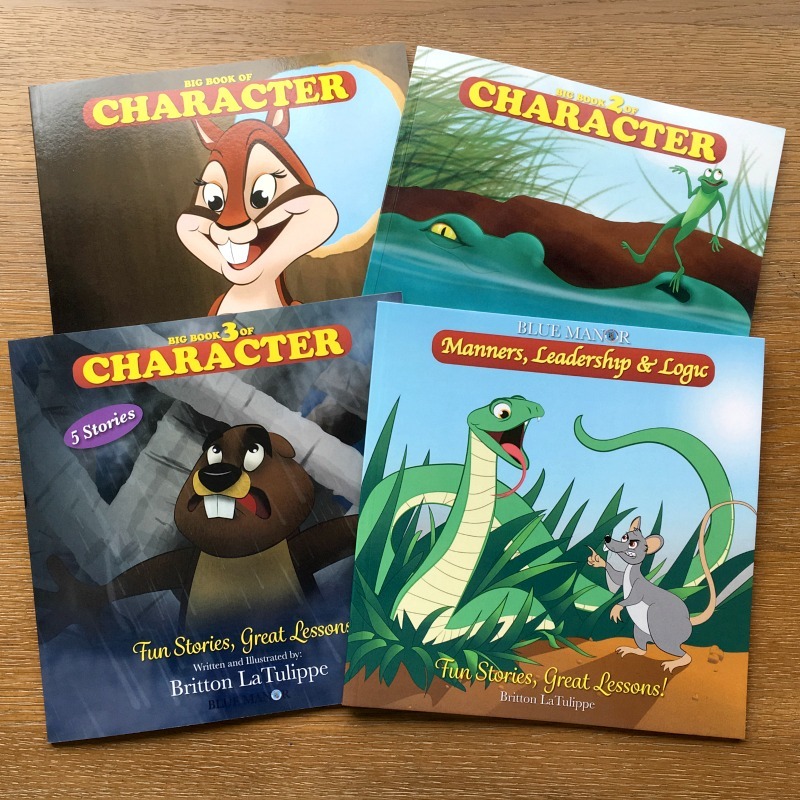 Help your children build character with Blue Manor’s character building series! « The Mom Who Cried Wolf! Funny story, you just commented on my site and I visited your page. Then, I found this awesome idea on another site and found you again. Ok, we were meant to be blog friends! 🙂 haha! Hi Mackenzie, It was meant to be! I loved your site and was stuck on it for longer than I like to mention! I would love to come and share on Saturday, thanks so much for letting me know! That is definitely a great motivator…and a visible on too! I am always amazed how silly sticker or meaningless plastic trinkets could be so motivational…but I have seen it over and over happen in my house…so i know they are! It’s so much fun. I could probably get sticks and leaves from the yard to put in their jars and they would like that even more lol. This is such a grand idea! Hi Susie! Glad you like it. Thanks for stopping by. 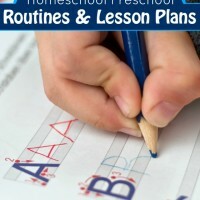 Thanks for linking this up in Homeschooling on the Cheap! I’m featuring you on my Facebook page today! Love this idea! Hi Kelli, Thank you so much! I love this! I’m going to need to put one together for my daughter! Thanks for linking up to the Kids Co-Op! I’m so glad you like it and I hope it helps. Thanks for stopping by. 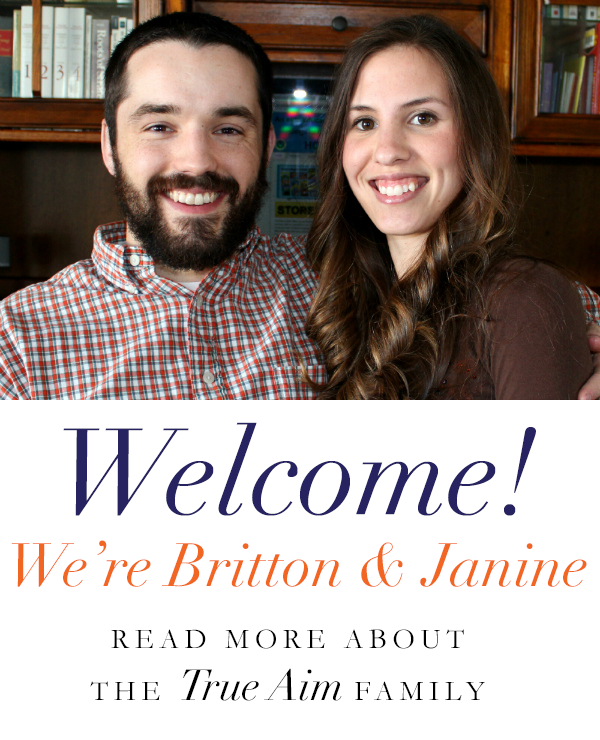 Hello Janine, this really is a great blog. Education is very important to us in this house, my husband is a teacher. I am now following and can’t wait to ready more. Thanks for stopping by The Bargain Game. Hi Angela, I’m so glad that you like my little spot. Sounds like your husband is a great teacher. Thanks for stopping by! Thank you for reading and commenting. I hope you find lots of good ideas for your students and feel free to share any ideas you have too. I was just reading about this idea for older kids, but using money. (I’m not sure how I feel about using actual money unless it was tied to ‘above and beyond’ type chores…but that is irrelevant =) This is a neat idea for younger kids! Thanks for sharing at Trivium Tuesdays! Hi Amy, You could use pennies instead of sticks for younger children, you could even use the sticks for older children to see how much allowance they get. It is really a versatile method to help them visualize their behavior. You could use anything. Thanks for stopping by. Amy, We have a treasure box system too. 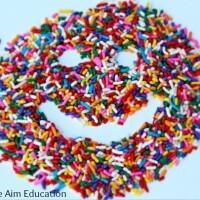 I think it is a great way to teach your kids that good behavior brings good rewards. Thanks for visiting me! You have beautiful daughters too. What a great idea! I would love for you to come and share on the Creative Corner Hop. Our linky will be open all week. i like this idea. though i admit, i always lose track of these types of programs. any tips to stay on top of it? I would fall into the same trap, but it is hard not to ignore the colorful jar if you display it in a prominent place. I also like to put some sticks in my pocket in the morning. Who wants to carry sticks in their pocket all day? I Have to think of good things my children do so I can get rid of them. I will also reward for different tasks and helping me around the house. If you tell your child that they will get a stick for helping you out before the task, they will usually hold you to your word. I even incorporate sticks into learning games. I do have some trouble remembering to make them take one away for bad behavior, but I try to be consistent as possible. It really works well in our home. I hope that helps. Thanks for asking! Visual motivators whether pop sticks or stickers have always been a great way for children to see and track their own behavior! We used to have a small treat box when they were little as well… harder now that they are bigger but I still love the idea! Thanks for sharing at tip toe thru tuesday! A treat box is great. The tummy is the key to a toddler’s heart 🙂 Thanks! Very interesting! I don’t children anymore that are little, but if they were, I might be interested in trying this! I appreciated the fact that you emphasized the fact that this is a supplement rather than a substitution for other discipline methods! Hi Michelle. I’m glad you liked it even though your’s are grown. Thanks for stopping by. 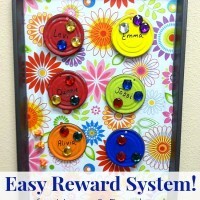 I have been looking for little incentive ways like this to help my kids! Great idea! Visiting from TPT! I hope this works for you. Thanks for visiting. That looks like a great reward system too! Popsicle sticks work every time! Thanks for stopping by. How I wish this would work with MY KIDDOS! Fortunately most of the time they’re well behaved and mannered, but sometimes they need reminders. That is awesome! Obviously you have a good system. I also like to use the popsicle stick rewards for study time too. Thanks for stopping by! I love this idea! Wish I had known it when mine were little, don’t think it will work so well with my adult children, but will use it with my granddaughter. Thank you for sharing. Your granddaughter will love Popsicle sticks. My youngest calls them pop sticks. It is so funny when we have guests because my children will ask to count their Popsicle sticks and our guests give them funniest looks. Thanks for stopping by! I hope popsicle sticks work for you. I think the key is to be consistent. Thanks for your comment! This is such a great idea! I’d love for you to come share this at our Pinteresting Party! Thanks so much for sharing this. I hope you’ll come back again and join us again this week with some more great ideas on Saturday Show and Tell. Rather than removing a stick that they earned (it’s discouraging to lose something you earned! 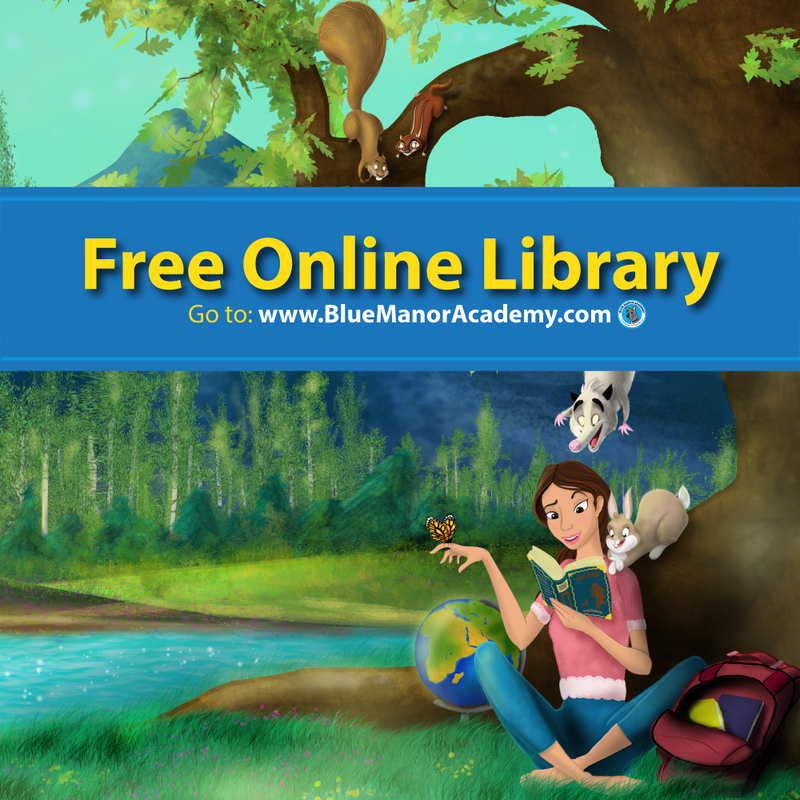 ), you might try having a consequence jar that, when enough sticks are in THAT jar, a consequence is earned–cleaning grout, picking up dog poop, washing windows–anything unpleasant that mom doesn’t like to do that will be equally unpleasant for the young ‘ens. I used a variation of this in my classroom and the visual was strong, but I had a rule that they could not lose their earned “stars” (rather than sticks) and if they had a consequence (3 “x’s”) they knew very well they had earned that too–I had a list of consequences they could choose from. We wiped the slate clean every Monday–fresh start, but no loss of “stars”. This was an amazingly powerful classroom management tool! Great idea, I am going to try this with my daughter! Great idea!! Thanks for sharing it with us at Eco-Kids Tuesday! Just out of interest, how many pop sticks would equal a reward? Do you assign a certain number based on age? Hi Liesl! That is a great question. We do 40 so that it takes all week to get a prize. We also do bigger wooden shapes for extra special behavior and 5 of those can be turned in for a treat. You can also do less if they are young and you want to show them how it works. I realize this is an old post, so you might not even check this…but I came across this on Pinterest and was wondering what all the stuff in the kids’ jars is? I know you said you put the sticks in them to track behavior…but what’s all the other stuff? Do they just personalize their jars with whatever? Thanks! Hi Kathleen! Those are actually wooden shapes that we got at the craft store. The kids trade them in for a certain amount of popsicle sticks so that they don’t have a ton jammed in there. It’s like a dollar instead of a bunch of coins. They also have stickers on their jars with their names because I had a preschool class and it helped them tell who’s was who’s. Thanks for stopping by!